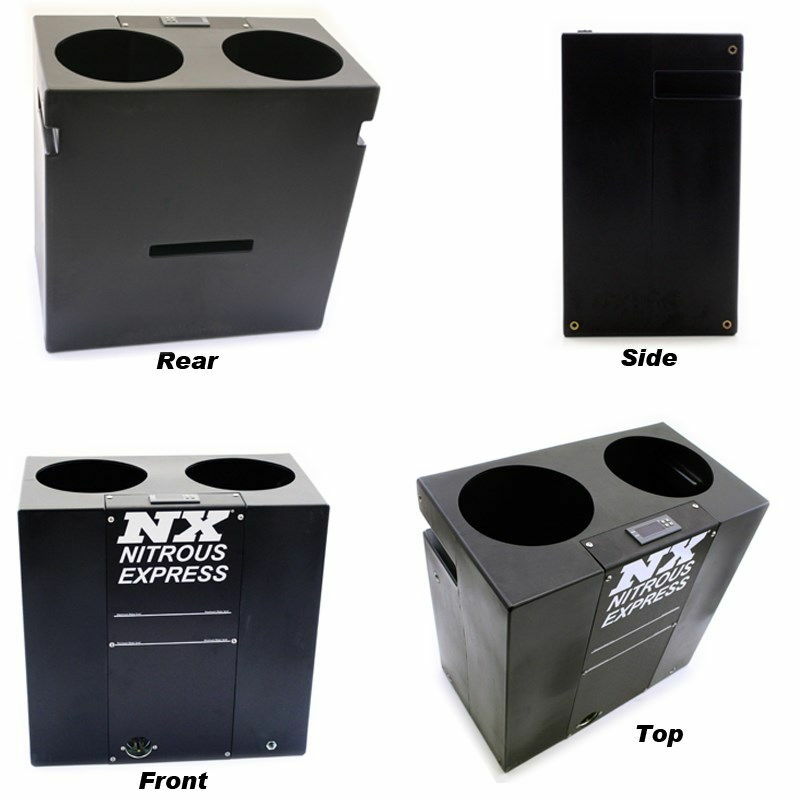 Check it out---> The latest addition to the NX Family!! Thread: Check it out---> The latest addition to the NX Family!! 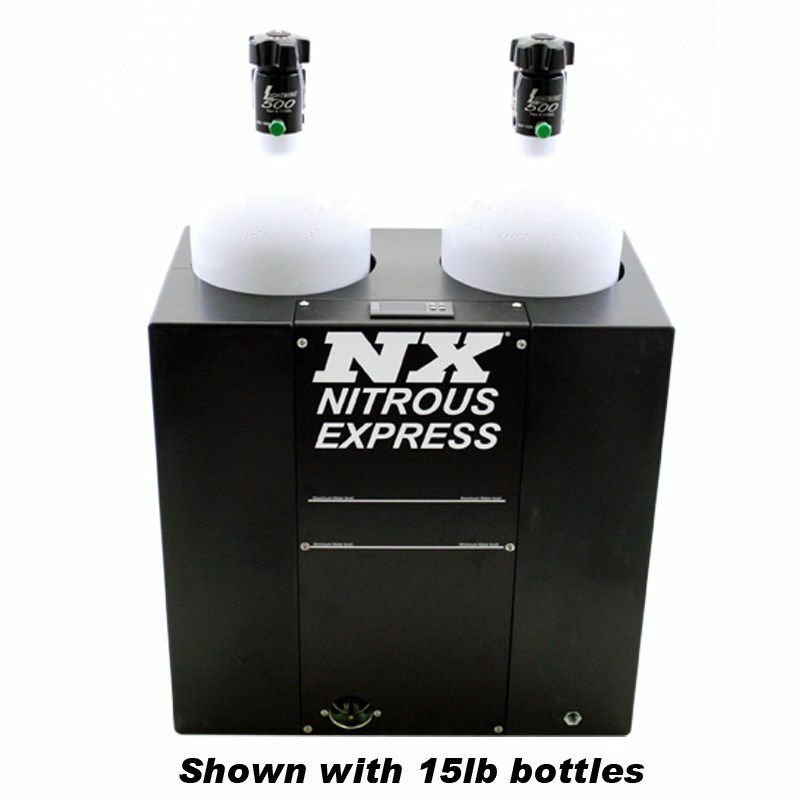 The Nitrous Express Hot Water Bottle Bath is the best engineered and the highest quality water based bottle heater available. The high strength composite tank design allowed us to build in features and benefits that would not be possible with welded metal tanks. The composite tank is stronger and more durable than a comparable metal tank plus the composite tank will never rust or oxidize. The composite tank insulates better than metal tanks so the water heats quicker and the heater element does not have to turn on as often. The molded tank design also allowed us to house the electronics behind the front panel so you don’t have an ugly square box hanging off the front of the tank. We molded a separator shelf inside the tank which keeps the bottles from sliding into the heating element during transport. Carrying slots are flush molded into the side of the tank to minimize the space the tank occupies. The digital display is mounted on the top of the tank so you do not have to bend over to see the temperature setting. The digital control circuit is easy to set and automatically maintains water temperature within 1 degrees of accuracy. 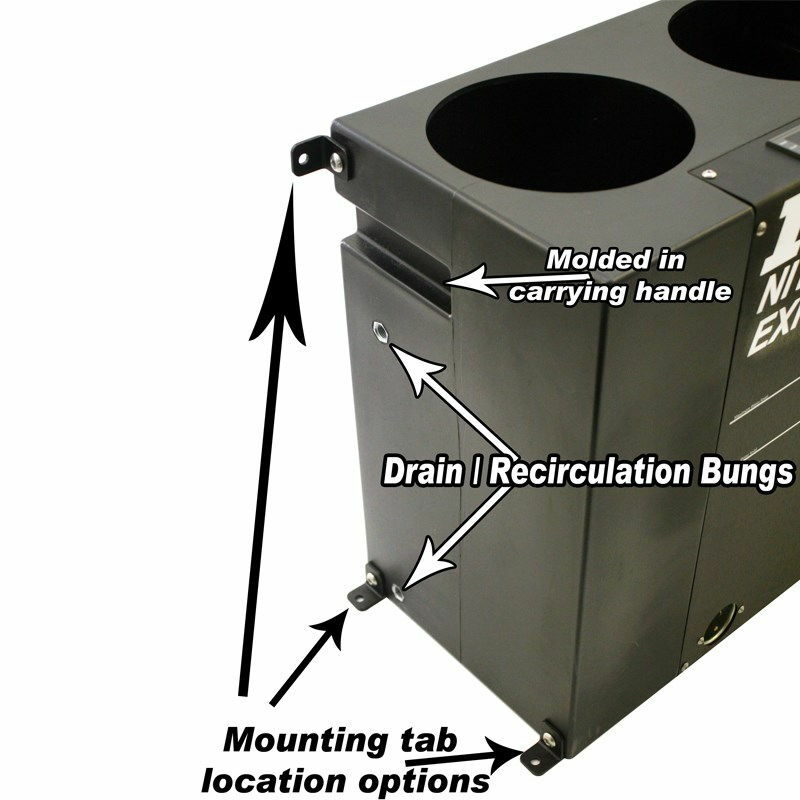 We molded in multiple drain bungs and multiple mounting bungs so you have the flexibility to mount our supplied mounting brackets to the floor or back of the tank. We are going to run an introductory special offering a $50 rebate during the next 30days. So between now 4-24-15 and 5-30-15 you can get a $50 rebate upon purchase of the NX hot water bath.